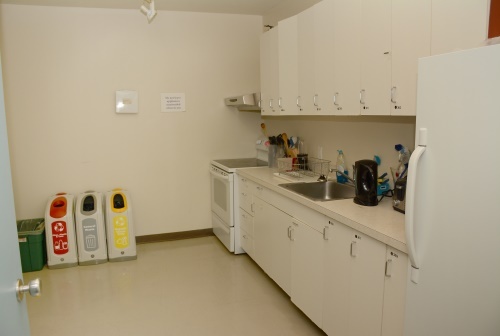 Living in Michener’s student residence, you immediately have a network of peers to work on assignments or study with; you are close to classes, computer labs and the library and you are within walking distance of downtown amenities! At Michener, our residence population tends to be a mature group of students who value both their residence experience and their education. 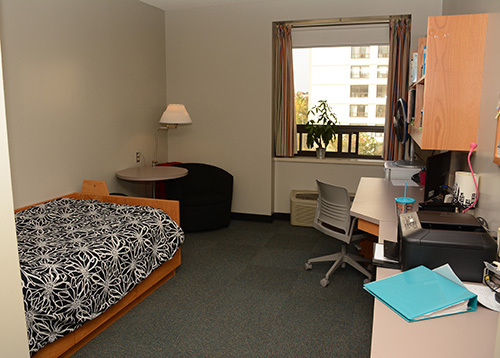 Our residence building is co-ed, has twenty-four hour security and is located directly on campus. Apply to residence. This five floor residence is a wing of Michener’s main building and is fully integrated with the rest of Michener. Students don’t even have to go outside to get to class! 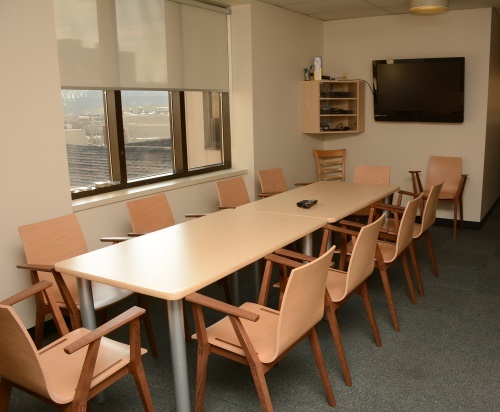 Schatz Hall features fully furnished single rooms equipped with full private bathroom facilities. 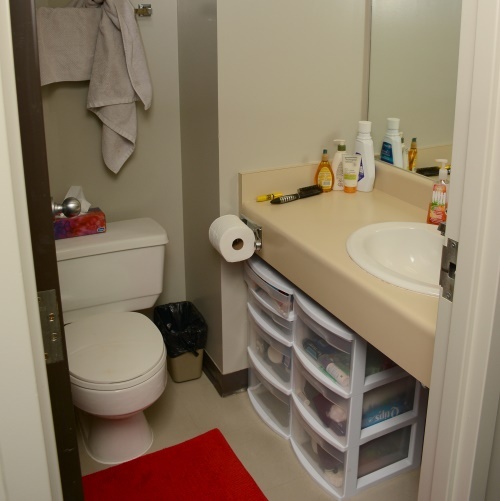 There are 12 students per floor (co-ed) and each floor has a common TV lounge, kitchen and coin laundry facilities. 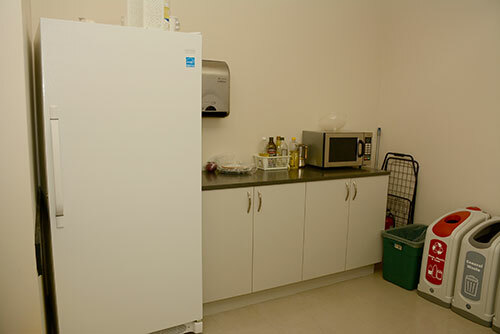 An accessible unit is also available on each floor. 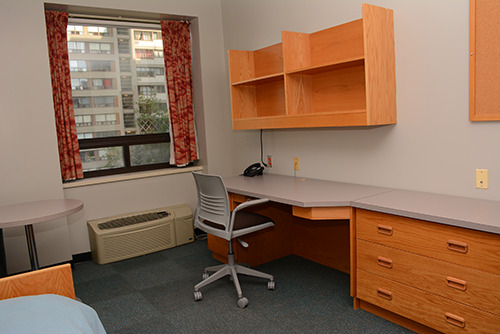 Indicate the date you plan to move into residence as well as your expected move-out date. Please note: The application deadline for for equal consideration for the fall semester is July 1. Any applications received after July 1 will be accepted and assessed based on availability. Residence assignments will be known by July 15. The program and year you are entering. You will then be sent a list of other students that are also searching for roommates to share costs with that may be helpful. If you have found a potential place and want some feedback on the location, proximity to Michener, ease of public transit etc, just email us at residence@michener.ca and we would be happy to provide any information we can.